The Young Talents Program started in January 2011 with a competition for ten $5,000 scholarships to the CTY Summer Program in the United States. The response was most encouraging. We have received 151 applications and invited 33 candidates for interviews at the Faculty of Informatics, Masaryk University, Brno. The interviews exceeded our high expectations. 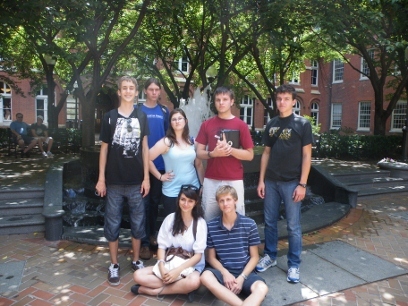 After some heart wrenching deliberations we selected 10 bright young stars and three standbys from top Czech and Slovak high schools to join their peers from all over the world in the 2011 CTY Summer Programs. If we had enough money, we could have picked at least 20 students or more. The students have completed their program to much more than their full satisfaction. In addition, they have visited admissions offices of some of the top universities to learn about the admissions process and financial aid. You can find more about their experiences on Facebook. Read a note from Martin Kabrt, Open Gate School about his American experience. the 33 students invited to the 2011 interviews in Brno. 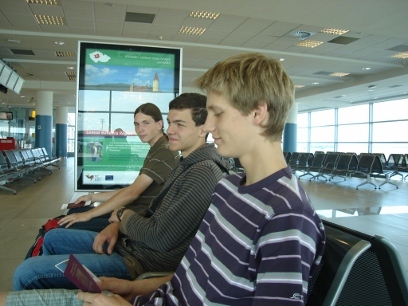 With all their travel documents completed, seven high school students assembled at the Prague Ruzyne airport on June 25th for their flight to America. Life at CTY summer camps is a mix of serious work and great fun. 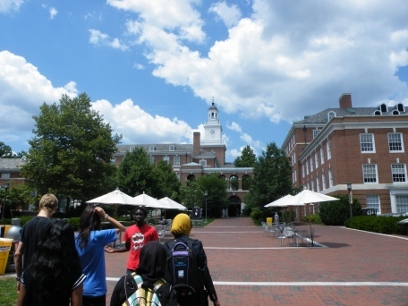 Here are just a few pictures from the Peabody Campus of Johns Hopkins University, Baltimore, Maryland, the venue for the Civic Leadership Course for which some of the Czech and Slovak students signed up. The camp session ended on Friday, July 15. In the afternoon, the students visited the Admissions Office and toured the campus of Johns Hopkins and then travelled to Washington, DC. In the evening they all assembled for dinner at Sorriso, a famous Washington restaurant, joined with CTY staff, supporters, Mr. and Mrs. Herman. On Saturday morning the students visited the Admissions Office of Georgetown University and played tourists during the day. In the evening, joined with friends and supporters, they met for dinner at the residence of Mr. and Mrs. Herman. After dinner they went for a night sightseeing Washington, DC. On Sunday before departure home, they played tourists again and in early evening checked in for their flight home.